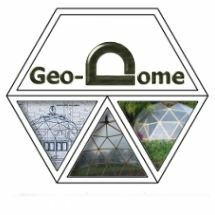 A single geodesic dome makes a fantastic clear span structure but sometimes that's not what we're looking for. What about if we need more floor area but don't have the luxury of making the dome higher, what if we want separate rooms or have an existing dome and want to add an extension. The answer is simple... nest several small domes together. 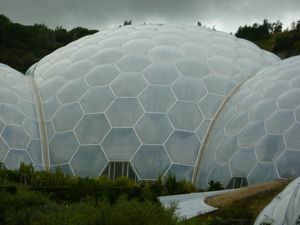 I'm not talking about having tunnels between a group of domes but actually intersecting one dome with another, an example would be the eden project, I don't think they made a terribly neat job of it if you look closely at the picture you can see that the framework on the join doesn't line up that well and a fat gutter has been used to make it look less obvious. 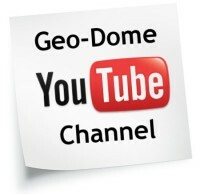 After a bit of head scratching I came up with a simple way of joining several 3 frequency domes togther. There are loads of possible layouts from two domes to ten, I've drawn a few in the diagram below. Nice! This is what I was looking for. This would work with the GD27plans correct? Very cool. Clustering icosahedral domes is somewhat awkward. A much better approach is to use octahedral domes. They cluster naturally. The icosa has several aesthetic and structural advantages, but clustering isn't one of them. Octas can be very nice too, especially at higher frequencies. Can you attach domes of different sizes (strut length)? Would it just require a larger/wider door frame to connect the two? 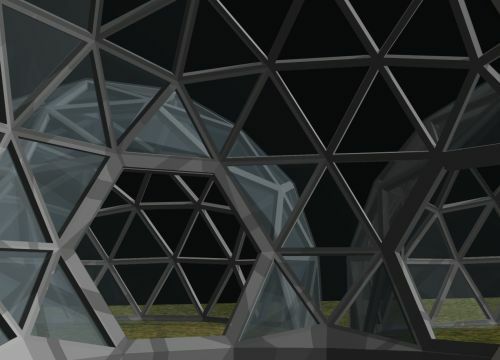 Or would that be really complicated and thus only same-size domes be used?